There are some people in the world who are content with the way their lives are, and there others who strive to be better, do better and ultimately live better daily. Ted D. Louis-Jacques (Teddy to close friends) aka “The Politician” is the epitome of positive, committed, and driven. Ted is a U.S. Army Veteran, and currently holds a Corporal position in the Massachusetts Army National Guard. Corporal Louis-Jacques first enlisted in the Massachusetts Army National Guard in July 2014 as an 88 Motor Transport Operator. This millennial has created a personal brand that is not only motivating, but extremely influential. On his Snapchats, and Instagram stories you can catch him preparing for military training working, hanging out with the youth, vacationing during his free time, or spending time with family. We see a lot of motivated millennials in our generation, but not many of them are so transparent about how they got to where they are today -- which is the case with Ted. If that's not a full day not sure what more you can add, but there's more yah'll. Ted was also a fellow at the Howard Rye Institute (HRI) through Unity of Minority Neighborhood whose initiative is focused on developing leaders of African descent from various backgrounds. Ted is a huge advocate for education and equality, so it makes sense that he is also involved in Mayor Christenson’s Racial and Harmony Task Force where he was a member on the Absence of Racial Tension & Discrimination subcommittee. To add more flavor to his resume, this Haitian-American man is involved in Ward 7 for Malden Democratic City Committee (MDCC) as a co chair, a member of Malden Community Preservation Committee (CPC) and Basketball Coach and Mentor at Malden High Boys Basketball and Malden Neighborhood Basketball League (MNBL) (7th year since 2011). The Milli Blog sat down with Ted to get to know the man behind the military uniform sharp suits! What are the 2 biggest benefits to your target audience (Malden Rising Leaders) and why? What are some goals you set for your organization? Rolling out our summer fellowship program at MRL: Working on social justice projects to change voting age from 18 to 16 so Malden High School students can vote. What are some goals you have set for yourself this year? For those 2 enterprises to succeed — As long as they succeed, I succeed. More patience with goals. I’m only 29 and have done so much, and still have a ways to go. Can you remember any stories that made you feel like the work you do is worth it? Last year’s recipient, Nate Ilebode. To hear about his success is amazing! He said without this scholarship he wouldn’t have been able to attend college. "Overall, my biggest inspiration is my son. He’s the sole reason all of this happens. All of the sacrifices, with work, being away from him months at a time in the military… is all for him and his future." Intent: want to make sure once kids grad.hs, get them ready for next chapter of their lives. Whether 2-4 years schools, military (like myself), we want to make sure they have the tools to succeed. MRl started while I we were deployed overseas Fall of 2015. It started off as us putting money together to send off to our teacher to give back to a student who needed help moving forward in life. The following year we turned it into a scholarship (Malden Public Service Leadership Scholarship) and moved forward with it. It was just $500 but successful. It was presented at the annual MLK luncheon in Malden by the North Shore Black Women’s Association. People got excited and we started to look deeper in MA (and the US) to see how to make this grow in the nonprofit field. We put in the work and assembled a small team of 10 where each candidate was a good fit. From there the board was brought down to 5. What's your vision for the future of the program and for yourself? You have to be approachable, relatable. you can’t take yourself seriously. Literally be yourself. Being charismatic. Teddy Louis-Jacques is making a serious brand for himself. He is clearly a very goal-oriented individual who puts a whole lot of action behind those goals. 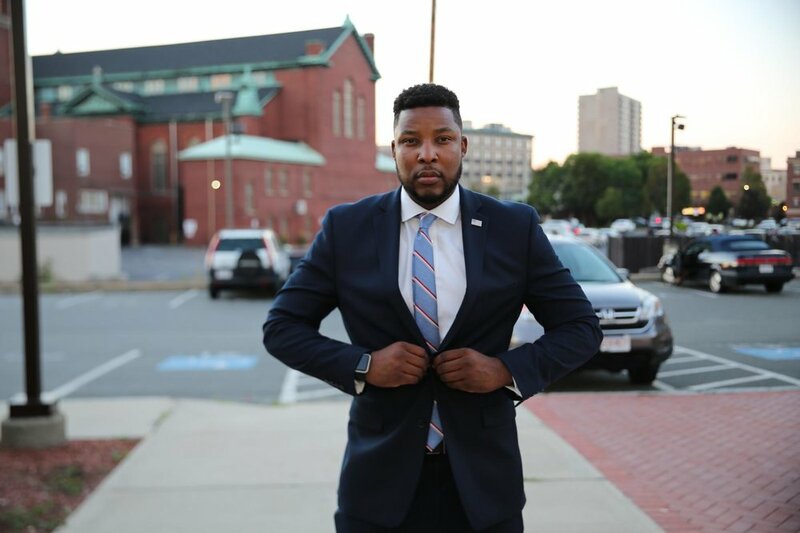 It is so important that we can read and watch individuals like Teddy doing exactly what they do, because people like this are a great source of inspiration for all millennials and communities. It's also important that we all connect with people like Teddy because he is helping to improve our current generation, while doing incredible things for the next generation. We are so impressed with this millennial’s efforts, leadership, and bravery, and are excited to see where all his endeavors take him.